Emosi is a co-founder of Mens Right Intelligent Business Agency Fiji Limited with Peter. Emosi is the head of Mens Rights Fiji. 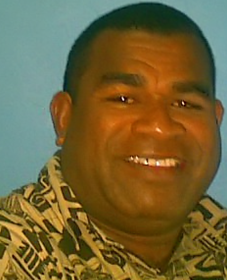 Mr. Tukila has been working for more than 7 years on the issues of Mens Rights in Fiji. He is well respected member of the Fiji community. Emosi also works as a Community Relation Officer in Newworld Limited, Suva Fiji. Emosi is also a Motivator of Success Association Institute Incorporation of Deluxe Texas USA and Fiji. Emosi spends most his time in helping the community in  five areas of life, social, mental, physical , financial and spiritual. Emosi believes that if these 5 areas of life balance (all equal) we can have a better world to live in. Peter is a 32 year IT Veteran and has 23+ years in the field of Business Intelligence. Peter is widely regarded as one of the most knowledgeable Business Intelligence Consultants in the world. Peters clients over the last 23+ years have included many of the largest companies in Australia, Asia Pacific and Europe. Peter has consistently pioneered new ways of implementing Business Intelligence Systems over the last 30 years. The tools that he built to enable faster, cheaper, more reliable project development are now collectively known as SeETL. 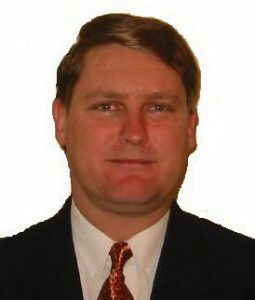 Peter is delighted to be able to mix his interests in helping Men in the area of Mens Rights with his unique skills and ability by being the co-founder of the Mens Rights Intelligent Business Agency. First Fiji – Then the World! The Mens Right Intelligent Business Agency Fiji LTD was founded in October 2013 following some months of discussion between Mr. Emosi Tukila and Mr. Peter Nolan. A part of that discussion was in the area of Mens Rights and Fathers Rights. It is self evident in many countries around the world that the rights of men and fathers are being violated with complete impunity. Both Emosi and Peter have been active in the area of securing the rights of men for many years which was our common interest.. It is just as self evident that the men who are in the various Mens Rights and Fathers Rights groups are not co-operating and collaborating as effectively as they could. There tends to be a lot of “in-fighting” and working at cross purposes in these groups all around the world. Both Emosi and Peter decided that we would set the example for how men in the Mens Rights and Fathers Rights groups can co-operate and collaborate in doing business so as to encourage more men in the Mens Rights and Fathers Rights groups to co-operate and collaborate rather than to criticise and compete. It was decided to launch the Mens Right Intelligent Business Agency in Fiji. This is why we called it “Mens Rights” Intelligent Business Agency and not just “The Intelligent Business Agency”. We want to place some emphasis on “Mens Rights”. We want to communicate the message “if you want to help secure Mens Rights then do business with us”. Our first offering are the products and services from Instant Business Intelligence. These are the Products and Services that Peter brings to the Mens Right Intelligent Business Agency as a co-founder. Our first project is that we intend to create a Business Intelligence Consulting Company in Fiji. We intend to hire and train Fijian citizens in the skills of Business Intelligence so that we can improve the business performance of the Fijian Government and Fijian Businesses. This will help us create more jobs and better opportunities for those who participate in the Mens Right Intelligent Business Agency ecosystem. Once we have demonstrated, indeed, proven how much better it works for men to co-operate and collaborate in order to do business more efficiently and effectively we intend to export this process around the world to all the Mens Rights and Fathers Rights groups. We are already co-operating and collaborating with our own network of contacts in many countries around the world. We will release more news on those activities as and when it is suitable. We will be creating some businesses in Fiji that will deliver products and services to other countries around the world. We intend to create a number of sizable export businesses as a part of Mens Right Intelligent Business Agency. We intend to create many jobs for Fiji Citizens over the coming years. As we said. First Fiji. Then the world! In our work with respect to Mens Rights and Fathers Rights the vast majority of men are simply “complaining” to their various governments that “things are not fair and please make them fair”. Although there is some merit to this approach it does not address the central issue. One of the reasons that governments have been able to establish policies that are unfair to men is that men have tolerated this situation and men have been willing to be dependent on their governments. As long as men choose to be dependent on their governments they will be subject to the dictates of those governments. Therefore the first thing that men are well advised to do is to become independent of the dictates of their governments. The best way to do this is by creating a business ecosystem that is outside the ability of their government to interfere with. We have seen, all over the western English speaking world in countries like the USA, UK, Canada and Australia, that governments are seizing the property of the men unjustly and unlawfully. Often the seizure of this property is by threat of force and threat of incarceration. Excuses are given. But they are just that. Excuses. The area where men have been hardest hit is in the divorce courts. It is not unusual for a man to be summarily deprived of his children, without cause and without fault. He can be criminalised via the mechanism of a “restraining order”, again without cause and without fault or even evidence, whereby he may be incarcerated for coming within a short distance of his own children. This happens every day in many English speaking countries. Men are having the proceeds of their labour stolen by their governments on a scale that is unprecedented in any free society. For example many men have their very houses stolen from them by their governments in the name of “divorce”. This is so common that there are “comedy” shows such as “Two and a Half Men” that depict the stealing of a mans house and the violation of his right to be the father he chose to be as “comedy”. We can assure you, we are not laughing at the idea of taking a mans house from him and taking his sons and daughters from him at the threat of incarceration with absolutely no fault on behalf of the man. We do not think this is “funny”. We are, in part, creating the Mens Right Intelligent Business Agency as a mechanism for men who live in such unjust countries to do business in such a way as to be much less exposed to the criminal actions of their own governments when it comes to plundering the proceeds of a mans labour. We take the position that a man owns his body and thereby owns the products of his labour. We are also preparing proposal to the Fiji Government as to how we can create an International Business ecosystem fully supported by the Fiji Government that will enable the Mens Right Intelligent Business Agency to help our brothers all over the world. There will be more news about these efforts over the coming months.